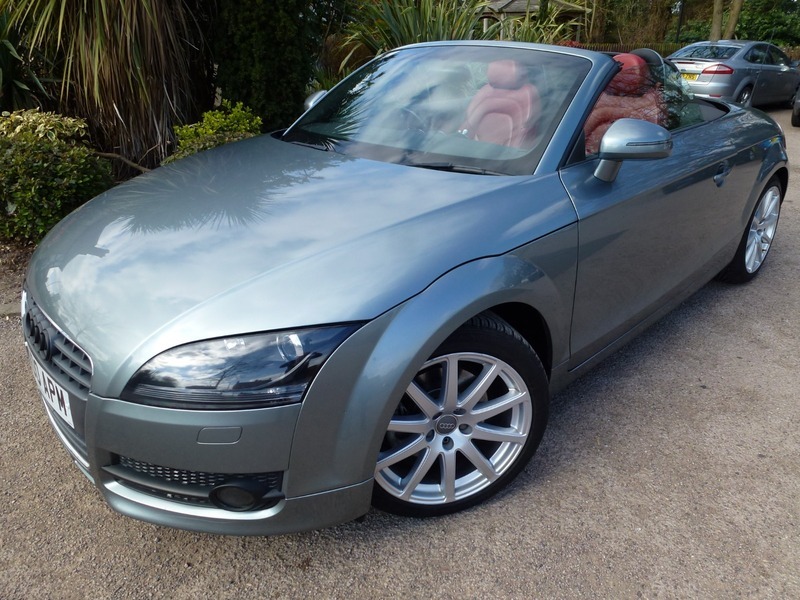 BEAUTIFUL EXAMPLE, EXCELLENT CONDITION LOW MILEAGE TT FSI CONVERTIBLE, FULL SERVICE HISTORY, SAT NAV DASH CAM REVERSING CAMERA, 18" Titanium Alloy Wheels, Electronic Climate Control, Front Sports Seats, Surround Sound System, Symphony ll Radio CD Player, with MP3 Compatibility, Xenon Plus Headlights, Auto-Dynamic Headlight Levelling, Exterior Light Styling Pack, LED Daytime Running Lights, Mobile Telephone Preparation, 3 Spoke Flat Bottom Multi-function Leather Steering Wheel, Drivers Information System (DIS), Electric Front Windows, Exterior Mirrors - Electrically Operated and Heated, Electronic Stability Programme (ESP), Thatcham Category 1 Alarm, Front Fog Lights. **12 MONTHS AA NATIONAL WARRANTY Inc, PARTS, LABOUR & ALL ELECTRICS WILL BE PROVIDED WITH THIS CAR + 12 MONTHS AA BREAKDOWN COVER** COMPLETE WITH BOTH MASTER KEYS ALL SECURITY CODES & HANDBOOKS + NEW SERVICE & MOT BEFORE DELIVERY (where applicable), PLEASE TELEPHONE & AVOID EMAILING WHEN INQUIRING ABOUT OUR VEHICLES AS STOCK IS IN & OUT ON A DAILY BASIS. Finance Rates From 2.99%, P/X Possible.